According to the Albanian census of 1930, there were 204 Jews registered in the country. On 2 April 1937, the Jewish community of Albania, now consisting of some 300 members, was granted official status. 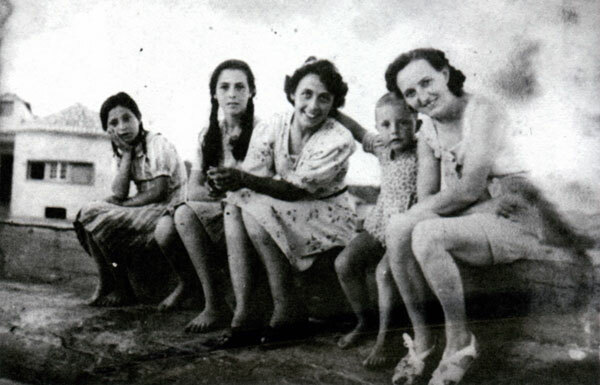 With the rise of Adolf Hitler in Germany, a number of families of German and Austrian Jews took refuge in Albania. 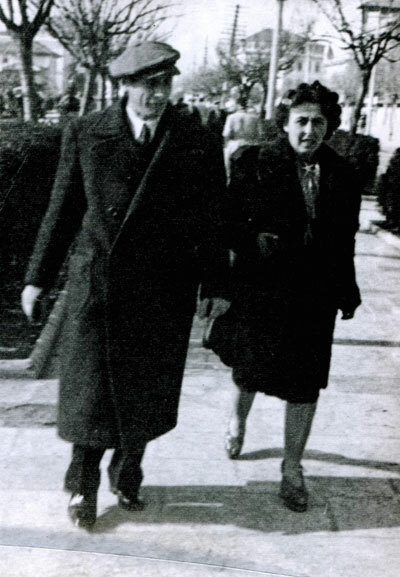 Indeed the Albanian Embassy in Berlin continued to issue visas to Jews up to the end of 1938, at a time when no other European country was willing to take them in. Jewish refugees from Germany and other countries were mostly well looked after by the local population and they all seem to have survived the Nazi occupation of Albania (1943-1944) unscathed. Indeed, it is said that during the occupation not one single Jew in hiding in Albania was betrayed or handed over to the Germans, an admirable reflection of how well the Albanians adhered to their traditional customs of hospitality and ‘besa.’ A couple of months after the end of the war in Albania, Samuilo Mandil, a Serbian Jew who had taken refuge there with his family, published the following article in the main Tirana newspaper ‘Bashkimi.’ Though there is an evident ring of propaganda in this early communist party newspaper, there would seem to be no doubt about the gratitude of the Jews for their protection and salvation in German-occupied Albania. 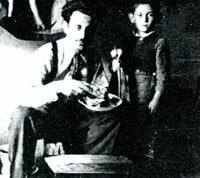 The engineer Samuilo Mandil is one of the Jews of Belgrade who survived being killed by the Nazis. He was interned in Berat in 1942 and found refuge in Albania. He has written the following few words to express the great appreciation of the Jews who were able to hide in Albania and survive the brutal rage of the Germans against them. Great is the tragedy of the Jews. Their sufferings have been indescribable, and unspoken has been their gratitude to our people who were able to protect and save them in the darkest days of the operations. Anti-Semitism was completely unknown in pre-war Albania, as it is today. The Albanian people are very easy-going by nature and have always judged men for their personal characteristics. They have always shown understanding for oppressed and persecuted people because they were often in this position themselves. As such, they did not absorb any of the rotten, anti-Semitic propaganda of Goebbels. When the Germans occupied Yugoslavia in 1941 and began to behave barbarically towards the Jews of Yugoslavia, only a few of the latter (several hundred Jews in all) were able to get to Kosovo, which was occupied by the Italians in that period. At that time in Kosovo, neither the Albanians nor the Serbs had real power. It was held by a few Albanian renegades who were drunk and poisoned by German propaganda, a fifth column of the fascist regime. This explains the fact that in March 1942, the fascist authorities in Prishtina handed over 53 Jews (men, women and children) to the German authorities in Mitrovica. The Germans did what they wanted with these Jews, as they did with other Jews of Yugoslavia, and their fate is unknown to this day. The other Jews from Kosovo and a substantial number of Serbs, Montenegrins and other Yugoslavs, worthy sons of these peoples, were interned in various places in Albania, for example, in Berat, Kavaja, Shijak, Lushnja and Fier, etc. This was fortunate for all of these interned people because they rid themselves of the fifth-column fascists and got into real Albania, to be among a liberal and generous people who welcomed all of these much afflicted people as their brothers, and helped them in every possible way. The interned Jews of Albania went through difficult times in September 1943 when Italy capitulated as they were expecting the Germans to replace them. There was genuine panic among our wretched people because we knew what savages were on their way to Albania. In those difficult times, the Albanian people gave proof of their magnanimity. Realizing that innocent people were being persecuted by torturers and sadists, the Albanian people removed all the Jews from the internment camps and hid them in isolated villages where the Germans could not reach them. The impoverished village people shared their last crumbs of bread with these wretched individuals who were being persecuted by Hitler’s madmen. It is a fact that all the Jews survived who got to Albania before the war, and this, due to the noble sentiments of the Albanian people who realized it was their moral duty to protect these persecuted emigrants as their “guests.” If we compare these lofty moral sentiments to the sentiments of the ever so cultured Germans, we can see where true culture and true nobility of spirit lie. “My good friends, we cherish you with double affection – more than anyone else – as Yugoslavs and as Jews persecuted during this war. Please convey my greetings to your companions and tell them that they are our guests. When the roads are clear, let them know that we will provide them with the requisite means of transport so that they can return to their homes safe and sound.” These words were spoken by a man of sincerity, a true friend. They left a great impression on us and we will never forget them. By nature, the Jews are not an ungrateful people. If someone does a favour to them, they will endeavour to return the favour if they are able, indeed return it twofold. In this war, having benefited from the kindness and generosity of the Albanian people, the Jews endeavoured to help the Albanians as much as they could. Many young Yugoslav Jews in Albania used the occasion to take to the hills and, in great numbers, joined the National Liberation Army of Albania in order to do their part, weapons in hand, to liberate Albania from the hated foe and his servants. 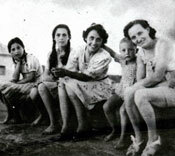 Five young Jews died in battle or were slain as partisans by the occupiers. The names of those who fell are: (1) Jakov Avramović, (2) Jusef Konforti, (3) Jusef Bivas, (4) Žak Ruben, and (5) David Kohen. Glory to these men who gave their young lives for the freedom of the Albanian people that fully merited this sacrifice. All the Yugoslav Jews followed with passionate interest the heroic war of the Albanian National Liberation Army because they knew that its victory would mean not only the liberation of the Albanian people from the occupiers and reactionaries, but also their own release from serfdom. It must be stated clearly here that Albania is the only European country occupied by the fascists and German savages where the Jews did not suffer. This does not mean that the Germans who occupied Albania were nicer than in other countries. No, they were just as criminal as in other occupied countries. But the Albanians did not allow them to persecute the Jews and cause them grief. On the other hand, the Jews who came to Albania had no particular reason to expect sympathy and protection. The Albanian people did not know them and could not even talk to them because the Jews did not speak Albanian. However, the Albanian people understood that innocent people were being persecuted and that injustice was being done. As a result, in front of every unarmed and powerless Jew stood a noble villager with weapon in hand to protect these innocent people and defend justice. Now that the day of reckoning is at hand, the day on which the actions of all peoples in this terrible war will be passed in review, the day on which all crimes will be denounced and all good deeds will be praised, the noble actions of the Albanian people must be made known and acknowledged because they are worthy of the gratitude of the whole world and of every man of culture. We will soon be leaving Albania and will be returning to our beloved Yugoslavia, but not to the old, reactionary Yugoslavia where there was no freedom or opportunity for people to live their lives freely and in a worthy manner. Thanks to the humane endeavours of the National Liberation Army of the peoples of Yugoslavia, and, more than anything, to that great man of Yugoslavia, the legendary fighter and hero of the people, our liberator, Comrade Tito, marshal of Yugoslavia, we are returning to a free and blessed Yugoslavia where all of its peoples will live content because, in their heroic struggle, they achieved their ideal of freedom. They are united and working as one for the common good, for the good of our beloved homeland. We will regard it as our sacred duty to make known the great heroic qualities of the Albanian people in every place and for all time, in particular in our beloved homeland, so as to support them wherever we can and to preserve the splendid memories of our stay.